The regional branches of the UAR actively participated in the celebration of the 2000th anniversary of the Nativity of Christ. As part of these activities, the Ternopil Central AUA launched the annual scientific conferences in 1997-2000: in November 1998 - "Christianity and Culture"; in November 1999 - "Christianity and national idea: scientific and theological aspect"; in May 2000 - "Christianity and person". 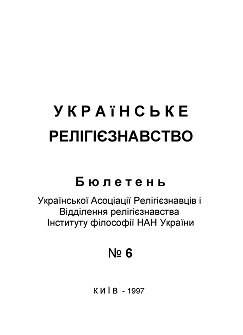 In 1997, together with the regional regional archives and the medical academy named after I.Gorbachevsky, the All-Ukrainian scientific and practical conference "The Idea of ​​the National Church in Ukraine" was held on October 17-18. Researchers from Ternopil, Kyiv, Lviv, Lutsk, Rivne and others took part in the scientific meeting. cities of Ukraine, as well as representatives of denominations.